Prime Your Freelance Writing Career for Success! So you want to be a freelance writer. Great! But now you're faced with a laundry list of questions: Should I freelance full time or part time? Should I write for magazines, newspapers, or online markets? How do I dream up the perfect article idea, and how do I pitch it successfully? How do I negotiate contracts, foster relationships with editors, and start getting steady work while avoiding financial panic attacks and unpleasant ulcers? 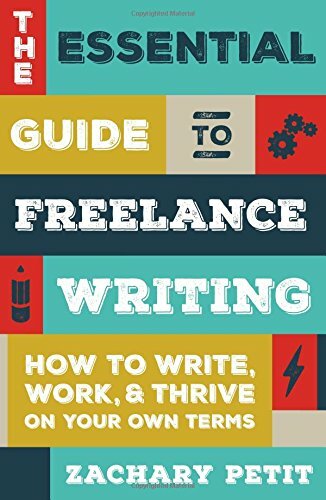 The Essential Guide to Freelance Writing answers all of these questions--and much more. From breaking in to navigating the basics of the business, this book is your road map to a fruitful and rewarding freelance life. You'll learn how to:Dig into various markets, including consumer magazines, trade journals, newspapers, and online venues.Make your digital mark and build your writing platform.Pitch like a pro and craft solid query letters that get responses.Conduct professional interviews in person, by phone, or by e-mail.Write and structure various types of articles, from front-of-the-book pieces to profiles and features.Quit your lackluster day job, and live the life you've always wanted.Filled with insider secrets, candid advice, and Zachary Petit's trademark humor and blunt honesty, The Essential Guide to Freelance Writing won't just show you how to survive your freelancing writing career--it will teach you how to truly thrive.